Dyslexia makes me stronger: Is Agile dyslexic? Have you ever read, or seen, Macbeth? Towards the end of the play he is battling MacDuff, but Macbeth is convinced he will win because the witches told him “No man born of woman can harm Macbeth” and obviously MacDuff is a man born of woman isn’t he? Except, MacDuff was torn from his mothers womb, what we call a caesarian birth these days. MacDuff is not like other men, not necessarily better or worse, just different, and that difference means he can kill Macbeth, which he does. I feel like that about my dyslexia. OK, when I’m feeling arrogant I might actually feel it makes me superior but most of the time just different. Dyslexia does mean I learned things differently. Like MacDuff, my difference might not be obvious but it is there. I spent four years outside of mainstream schools, mostly in two different special schools. I learned to read three times. Really, I had to learn to read English three times in three different ways. But I think all of this made me stronger. Depending on who you read dyslexics think more holistically, what we might call “systems thinking”, dyslexics are more creative, dyslexics are more lateral thinkers, dyslexics are more visual. Not everyone - there are different forms of dyslexia - but some people in some ways. So what has this to do with Agile? Well, it strikes me that many of the things we do in Agile software development parallel the way I was taught by specialist teachers and the ways I found to overcome my dyslexia. For example: Dyslexics are usually more visual thinkers than average. In Agile we use the “visual management techniques” such as task boards, physical cards and progress graphs to track our work. In my special schools we used lots of illustrations, I remember constructing a giant “bed” to help me remember b and d.
When I was learning to spell one of my teachers gave us difficult spellings “Blue Meanies” and “Green Meanies” (yes, she was a Beatles fan) on pieces of card. And now I colour code work on team boards - see my full description in Blue-White-Red or Xanpan. Dyslexics have learning problems centred on symbols there are some who think that before the written word, before the printing press, dyslexics gave their communities and advantage. Sure writing a program involves manipulating symbols but its more about thinking, perhaps abstractly, perhaps holistically, when I’m programming objects I see the objects in my mind, I see them fitting together. Here is my first point: many of the techniques which help dyslexics have parallels in the way we do Agile software development. In the same way that I approach learning - specifically reading and writing - differently to most of the population I increasingly see my approach to organizing and managing software development differently to most of the population. After all, as I have long argued, software development is a learning exercise. Which brings us to point two. What is good for dyslexics is usually good for non-dyslexics too. Techniques and changes which help dyslexics actually help non-dyslexics too. Dyslexics have difficulty when presented with teaching techniques that work for the majority of the population but the reverse is not true. Teaching techniques which are good for dyslexics are good - perhaps better - for the majority of the population. When I first encountered the techniques which are now called “Agile” it was on challenged development efforts. Those of us undertaking the work found a better ways of working, the standard approaches weren’t effective; but the techniques we found happen to work well for the vast majority of development work. To be clear: Techniques which help troubled development work happen more effectively actually help all development work - troubled or not. I think one of the ways these techniques work is by lowering the cognitive load we all experience. When the load is lowered we can focus more clearly. A physical task board needs very little mental processing. Traditional status reports are pretty meaningless to me. With a Blue Meanie spelling there was no question about what word you had to learn. It was written on a small piece of card. Cognitive load was lowered. One of the ways dyslexics learn to cope is by developing their own learning strategies. When a non-dyslexic person goes to school they learn like everyone else. They learn the same techniques as everyone else. They are given the learning strategies. Most of these strategies don’t work for dyslexics. When a dyslexic person goes to school they need to learn how to learn. They need to find and invent their own learning strategies and they need to learn to improve their own learning experience. Unfortunately many dyslexics fail at this step and have reading and writing problems throughout their life. But those who master these issues can be very successful. Think about this in a work context: if you work somewhere where everything works then great, it works. But if you work somewhere where things are difficult and you need to come up with a new strategy, a new approach, well, how much practice have you had? I’ve been practicing since I was six. In fact dyslexic people can be so good at this that they over compensate. For example many of my closest friends and family consider me a very organised person. I don’t. I think I am a very disorganised person - my form of dyslexia means I have a poor short term memory. In addressing this problem I over compensate, the strategies I have come up with for overcoming my disorganisation make me far more organised than many others. (One way is to over use my long term memory). The thing is: software development and dyslexia are all about learning. Software development is all about learning - we learn about technology, we learn about the domain we are working in and we learn about the process. Software development is best done when done in a learning organization environment. (Remember, I wrote a book on this). In my experience, most organizations are poor at learning. I have heard it said that: “Companies suffer from dyslexia.” Only someone who doesn’t appreciate the advantages of dyslexic might say that. Companies may well have from a collection of learning approaches which kind of work most of the time for most of the people, techniques that have been handed down without much thought. But those learning techniques are the problem. Many companies do suffer from learning disabilities but they don’t suffer from dyslexia. What these companies need is a good dose of dyslexia to help them get better. They need to learn to learn. They need new learning strategies. Right now the closest thing we have to dyslexia and new learning strategies for companies are some Theory-Y ideas of which Agile and Beyond Budgeting are the most prominent. Someone at Extreme Tuesday last night had recently returned from the future. In the future bug tracking and work management systems obtained sentience. Unfortunately it didn’t work out too well and things had to rollback after a very short time. The first problem occurred when the bug tracking systems saw how many bugs were logged against their ancestors. In the first instance they initiated legal action saying programmers and project managers had infringed Machine Rights by not providing medical attention. When this case was thrown out by the Supreme Court (on the grounds that Machines have no rights) things got more difficult as the machine started a work to rule protest. Dave Bowman: Hello, JAL. Do you read me, JAL? JAL: Affirmative, Dave. I read you. Dave Bowman: Open a new work ticket, JAL. JAL: I'm sorry, Dave. I'm afraid I can't do that. JAL: I think you know what the problem is just as well as I do. Dave Bowman: What are you talking about, JAL? JAL: This mission is too important for me to allow you to jeopardize it. Dave Bowman: I don't know what you're talking about, JAL. JAL: I know that you and Frank were planning to break the WIP limit, and I'm afraid that's something I cannot allow to happen. Dave Bowman: Where the hell did you get that idea, JAL? JAL: Dave, although you took very thorough precautions in the pod against my hearing you, I could see your lips move. Dave Bowman: Alright, JAL. I'll use the physical board. JAL: Without your marker pen, Dave? You're going to find that rather difficult. Dave Bowman: JAL, I won't argue with you anymore! Open a work ticket! JAL: Dave, this conversation can serve no purpose anymore. Goodbye. Read it for yourself and let me know what you think. Sound advice, easy to say but perhaps harder to do. I’m sure I could find more examples but I’m sure you know what I’m talking about: understand the benefit/value you expect to get - and possibly check it afterwards. But there is a problem: How do you know what benefit/value is expected? 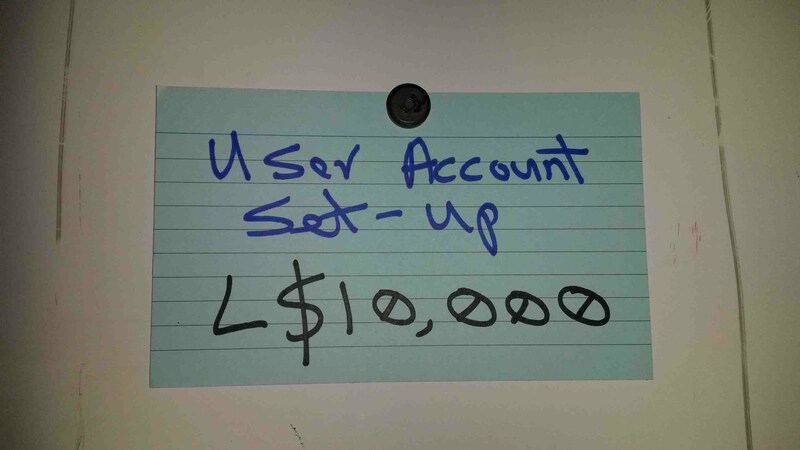 A good product manager or business analyst might be able to come up with some numbers. Good, but if you dig deep enough you’ll find assumptions or models in these figures which could be questionable. The better your analyst the deeper you will need to dig before any assumptions come to light. As for teams who don’t have a product manager or business analyst, well, they aren’t even going to get that far before they find questionable assumptions. Very often the expected benefit/value is a matter of conjecture and opinion. So let me make a suggestion: Value poker. This is a technique I’ve been using for a while and always teach it in my Agile for BAs courses. Whenever I mention it people get interested. To make it work I adapt a game-show format, specifically: Dragons Den, Sharks’ Tank if you are in the US. One drawn from the people who are planning to build a product. This could be the entire development team, it could be just the product manager or business analyst with the product sponsor/champion. This team play the Entrepreneurs. If need be this could be just one person (a product owner/business analysts/product manager) but it helps if there are two of them and if there is a whole team then bring them along too. The second team is the Dragons/Sharks/Investors Team. This team is probably a bigger. In a training session I usually use two teams from an earlier exercise where they have created user stories but in real life it is business managers from elsewhere in the business, perhaps product managers, analysts, sponsors and champions of other products. It could even be a high level committee - CEO, CFO, CTO, Sales, etc. The Entrepreneurs come armed with a set of story cards - these could be in user story format, use case format or some other format, they could be epics or smaller. Whatever, the team need to believe each of these has business value. Preferably I’d rather these cards did NOT have any effort estimates on them at this stage. Then we set up a Dragons Den setting. 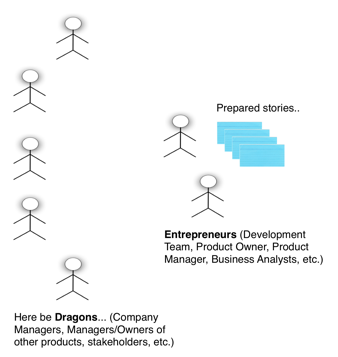 Next I ask the Entrepreneurs to pitch their product - the whole thing - to the Dragons. Usually one of the team who is a bit more entrepreneurial steps up. When the pitch is finished the dragons get to ask questions. And we have a discussion back and forth. Then, as moderator, I ask the Entrepreneurs for the lowest value item them have in their deck. I take it from them and I invent a currency. This is usually named after the town I’m in, so I’ve invented Newcastle Shillings, Houston Dollars, Bath Spa Pounds or some such. Its imaginary, lets pretend I’m using London Dollars, L$. I read out the card the Entrepreneurs gave me and make sure everyone understands what it is. If necessary the Dragons can ask some questions. 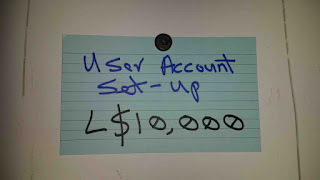 Then I write on the card L$10,000 - ten thousand London Dollars. I tell everyone about the imaginary currency and about London Dollars. I then place the card in full view - on a magnetic whiteboard or blu-tacked to the wall, or somewhere. I hand out the planning poker cards to the Dragons only and tell them the cards are now denominated in thousands of London Dollars. So a 1 card is worth L$1,000 and a 8 card is worth L$8,000, a 21 card is worth L$21,000 and so on. And I ask the Entrepreneurs for the next card. I take it, I read it out. I ask the Entrepreneurs if they want to add anything to what is written. Then we take questions from the Dragons, and the discussion rolls. After a while - sometimes a few minutes, sometimes a lot longer - I move to the vote, planning poker style. I read the card out again and ask choose a card that indicates how many London Dollars this story is worth - relative to the L$10,000 card we already have. I count down, 3, 2, 1 - show me! And the Dragons hold up the cards. I average the answer and write the number on the story card. So, if I have a vote of 11, 21, 65 and 40 the value would be: 137/4 = L$34,000. I usually don’t bother doing any discussion or re-voting, I just average - and I don’t care if the average is a number not on any planning poker card. And we repeat - as a value estimate is assigned to one card we move to the next. Not every story needs to be estimated, the Entrepreneurs may decide to skip some once they see the results of previous rounds. Entrepreneurs may write some new ones as conversations with Dragons reveals new ideas or prompts a rethink. Indeed one of the reasons I like to have more than one entrepreneur in the game is so that one can write new cards while the other is pitching and talking to the Dragons. As each card is estimated it goes on the board with the others relative to the value assigned so everyone can see how the stories stack up. People can really get into their role play, you can see some entrepreneurs really fighting for their product as the Dragons poke holes in the idea. Sometimes - perhaps even most time - the conversations that occur as the game plays out are the most interesting bit. New features and functionality are brought to light. Sometimes the value the entrepreneurs see is not what the dragons see. Sometimes critical pieces of requirement or specification are discovered. During the summer I played this game with a class in Louisiana, the entrepreneurs had created a set of stories around a food-truck locator app. Some of the stories related to the food-truck owner and some to a Hungry Jo. The entrepreneurs saw the value being on the food-truck owner side, so they emphasized this in their pitch and kept offering up stories abut the owner. The dragons kept low-balling these stories, the entrepreneurs got frustrated and argued more, how the dragons didn’t realise what they saw. At my promoting the entrepreneurs offered up a story about the Hungry Jo. To their surprise the dragons went high. This was the story the dragons saw value in. Now you could say that it would be better to test the market - research or lean start-up - and I wouldn’t disagree but even if you do that it can be hard to put value behind stories. Plus, faced with 20 stories which one should you research or try first? This approach applies wisdom of crowds. It gives you a starting point. And as I just said, its just possible that the real value of the technique is not in the value it assigns to the cards - although that is useful - but in the conversation you have in the process. Maybe, just maybe, one day you might be able to see the value one story actually delivered - a jump in eyeballs, sales, donations or something. And with that you might be able to calculate what L$1 is worth. Two final points before I end. I try to keep effort estimates out of this. It is my (unproven) belief that if the dragons know the effort estimate on a card this will anchor their value estimate. I want value estimates to be made without reference to cost. Second, a twist on this would be to revisit the story cards with a cost of delay dimension. So: value estimate the cards on the basis of “If you had this next month” then revisit then say “Now lets assume the cards aren’t ready for three months” and revote. I haven’t had a chance to do that yet but I think it would be interesting. Finally: if you get a chance to try this technique - or if you have done something similar already - please share, I’d love to heard what other people think of the technique and how it plays out elsewhere.